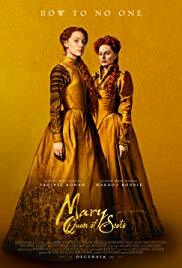 Mary Queen of Scots (released January 2019) - which stars Saoirse Ronan as the titular Queen, and Margot Robbie as her second cousin and rival monarch Elizabeth I – inspires renewed interest in a tumultuous period of British history and offers the perfect excuse to explore Scotland. There’s something about Mary, Queen of Scots: she’s everywhere in Scotland, from her birthplace at Linlithgow Palace to Craignethan Castle, near Lanark, said to be one of her regular ‘haunts’ (quite literally); and Edinburgh, as she hangs defiantly on display at the Scottish National Portrait Gallery. The film explores Mary’s difficulty in asserting her authority in Scotland, with threats from protestants (including from John Knox, played in the film by David Tennant), and from the English Queen, struggling herself to be a Queen in a man’s country. Strong female roles are brought to life by the two brilliant leading actresses, as well as a female director, Josie Rourke, and producer Debra Hayward. 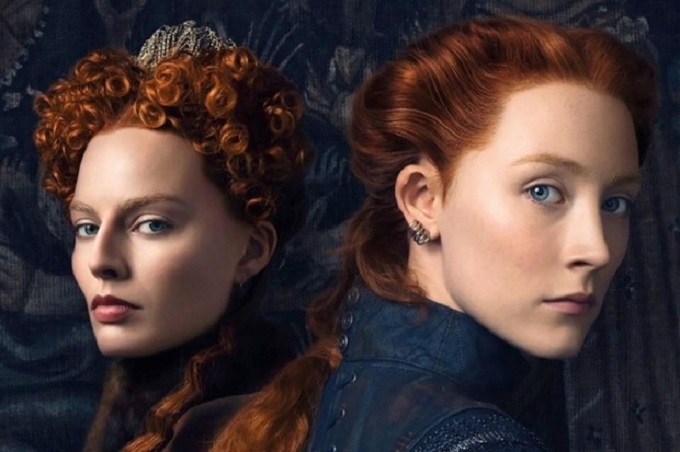 Fans of the movie can continue their Scotland experience with a choice of Mary, Queen of Scots events across the country to tie in with the big screen release. However a lot of ‘Mary’ locations are on offer anytime. Lying in Upper Donside, around 45 miles west of Aberdeen, Strathdon is a stunning and quiet part of Scotland and a superb place for spotting wildlife. It is an area steeped in history and visitors can learn more at Corgarff Castle with its fascinating star-shaped fortifications, and at Glenbuchat Castle. In the summer spot the Lonach Highlanders parading through Bellabeg, the main village in the area, as they make their way to the Lonach Gathering. In winter, there’s skiing and snowboarding on offer at The Lecht Ski Centre. The film: During the production of Mary, Queen of Scots, filming included a scene at Poldullie Bridge, Strathdon in which the Queen Mary gets ambushed: a fight scene with cows blocking the bridge. To the east of Edinburgh and within very easy reach of the city, lie the craggy cliffs, golden beaches and rolling countryside of East Lothian. Hemmed in by the Firth of Forth to the north and the Lammermuir Hills to the south, the history of the area is typified by the stronghold of Tantallon Castle as it rests formidably on cliffs above Seacliff Bay. The area is also very popular with golfers and must-visit attractions include the Scottish Seabird Centre, National Museum of Flight and Glenkinchie Distillery to name just a few. To the east of Edinburgh and within very easy reach of the city, lie the craggy cliffs, golden beaches and rolling countryside of East Lothian. Hemmed in by the Firth of Forth to the north and the Lammermuir Hills to the south, the history of the area is typified by the stronghold of of Tantallon Castle perched above the beautiful Seacliff Beach in North Berwick. Seacliff is privately owned and there’s a small charge to access it, but it is well worth a visit to discover what’s thought to be the UK’s smallest harbour with views of the Bass Rock. The beach also been featured in the recent Netflix release, Outlaw King, which stars Chris Pine. The film: Seacliff can be seen in a scene featuring Mary and her ladies in waiting on a rocky shore, looking out to sea, speaking to one another in French. This mighty fortification, jutting out into the Firth of Forth with its long and narrow design, has been described as ‘the ship that never sailed’. It owes much of its nautical shape to the many fortifications that were added to it during the 16th century, transforming it into one of the most secure fortresses of its time - part of its south-facing wall is 5.5 metres thick! Now a popular visitor attraction, the castle has served as a garrison, state prison and also featured in season one of Outlander as well as Outlaw King. The film: The photogenic Cairngorms and Glen Coe are also featured in the film, as Mary and her army ride across Moorlands. 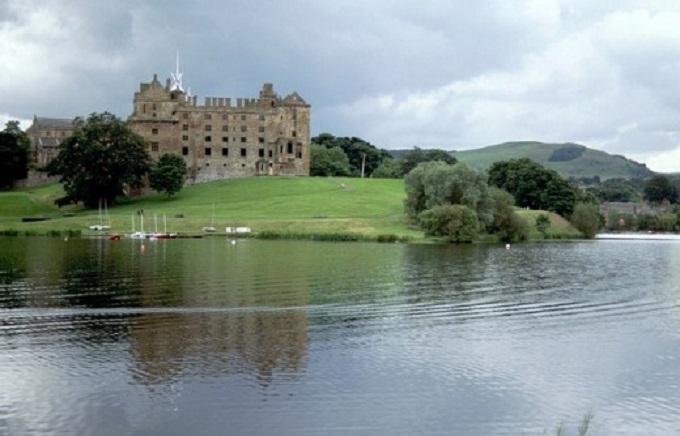 Mary spent the first few years of her life, from 27 July 1543, within the safe confines of this castle and in the hands of her guardian Lord Erskine, to February 1548, when she was moved to Dumbarton Castle and eventually shipped to France. It is here, in the Old Chapel, where she was crowned Queen of Scots on 9 September 1543, aged nine months. The ceremony consisted of the quick investiture of the child in the presence of the nobility. www.stirlingcastle.scot for more information. There are various stories of places in Scotland – and elsewhere in the UK – of places the ghost of Mary, Queen of Scots is said to haunt; Craignethan Castle (where Mary is said to have spent the night before the battle of Langside in 1568) has one of those stories. Visitors have reportedly seen a headless woman walking in the grounds, who some believe to be the Scottish Queen. www.historicenvironment.scot/visit-a-place/places/craignethan-castle/ . Don’t forget to check out the Mary Queen of Scots trail from Historic Environment Scotland. See www.maryqueenofscots.historic-scotland.gov.uk/ for full details.